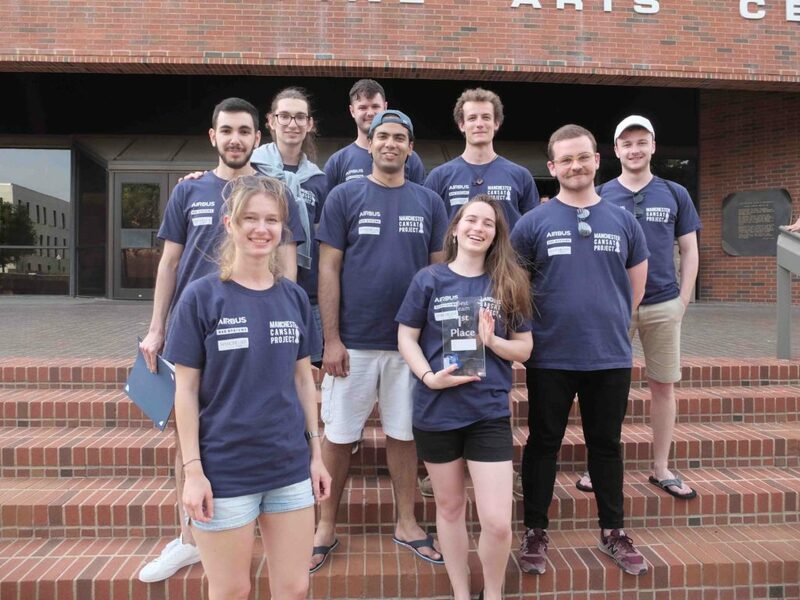 Like the plot of a movie, a team of students from across the Faculty of Science and Engineering have overcome some serious odds to claim victory at an international space probe competition in Texas. 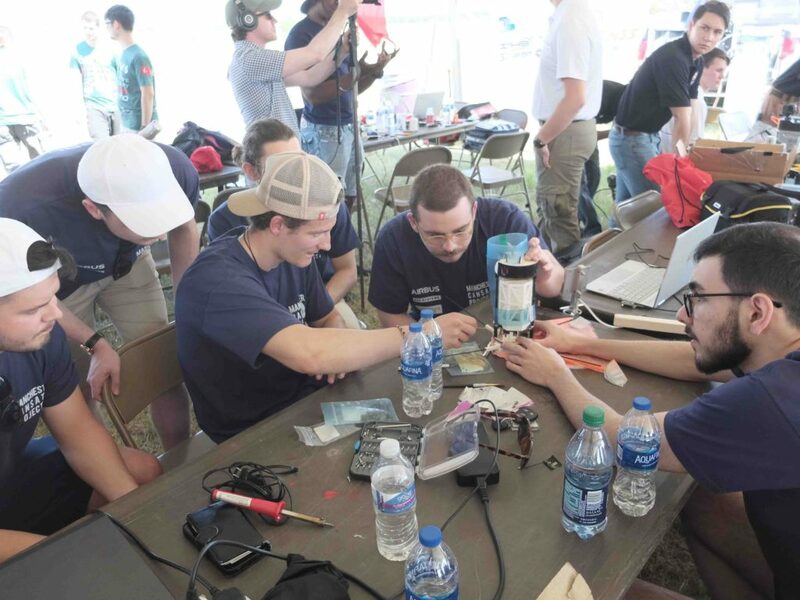 The fourth annual American Astronautical Society CanSat Competition took place at Tarleton State University; with a team from The University of Manchester (one of only two UK universities represented) competing against students from around the world. More than 100 teams applied to take part; just 40 qualified for the final stage – and Manchester won. However, as teammates Iuliu-Cezar Ardelean (Aerospace MEng) and Lawrence France (Physics graduate and Aerospace MSc) admit, there was a time when it looked like they’d never get their design off the ground. 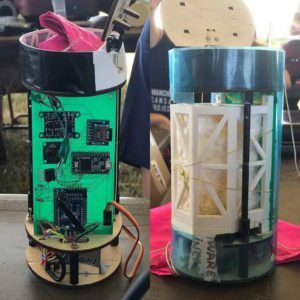 CanSat is organised by the American Astronautical Society and gives students the chance to see a complex space mission and engineering project through from the very start to the finish. This year, the challenge was to build a one-use space probe the size of a can, which had a heat shield and was capable of collecting data. Oh, and it also had to safely carry a chicken’s egg up 725 metres from the ground and back down without so much as a crack. 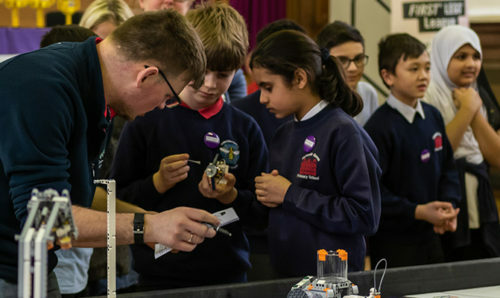 The 10-student team that tackled the challenge was made up of both Undergraduates and Postgraduates from the Schools of Mechanical, Aerospace and Civil Engineering (MACE), Electrical and Electronic Engineering (EEE), Physics and Astronomy, and Computer Science – exactly the combined interdisciplinary knowledge you need to come up with a winning formula. But as we said, it wasn’t quite as easy as that. In fact, the team was the last to qualify for the final in Texas – in spite of achieving a score of 95 per cent for their theoretical design. When some of the most knowledgeable science and engineering students in the world go head-to-head, the competition is fierce. We are taught to design but manufacturing these designs is the other part of the challenge. One advantage the team had was the vast wealth of equipment and expertise across the Faculty. The probe’s circuit board was custom-made in EEE and the plastic framework was all 3D printed in MACE. The students taught themselves to solder and, piece by piece, made their completely novel space probe a reality. But this probe was no empty tin can – inside it contained a barometer, GPS, tilt sensor, an SD card, a real-time clock and a transmitter. Data collected from all these things had to be transmitted to the base and plotted by the team in real time. And this was just the start of the challenge – next the probe had to survive a test launch. The second test launch didn’t go much better. The probe failed to meet the correct altitude and then fell back to earth like a stone – no egg was going to survive that sort of landing. All in all, when the team headed out to Texas, they were far from confident it would be an easy ride. While in the US, the students slept and worked in shifts. No matter what their discipline, everyone had to know how to do everything so that if one member fell ill or could no longer participate, the launch could still go ahead. Having said that, after two failed test launches nothing more could go wrong – right? Wrong – the probe broke. 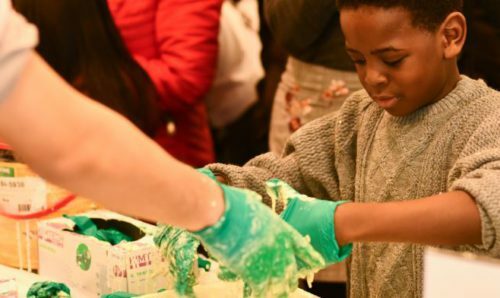 Luckily, the team were now such confident engineers they were able to fix it – but launching it successfully was something they felt less confident about. In order to win, the team would need to launch the probe from a rocket to a height of 725m, from where it would need to rotate to a nose-down position. A micro-controller would then deploy the heat shield. Once at 300m above ground, the parachute would be released. 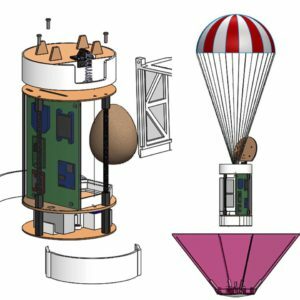 And of course, it would need to bring home usable data, along with the all-important payload – the unbroken egg. It was no easy task – but they did it! However, a win was not yet in the bag. The team still had to present a mission debrief to a panel of judges that included representatives of NASA, Lockheed Martin and the US Naval Research Lab. At this stage, they had no idea they’d won – although they’d had a good landing, another team’s may have been better. “At that point, you don’t know how you’ve done and want it to be perfect – and the judges said our presentation was the best,” says Iuliu. In fact, the team scored an unprecedented 101 out of 100 due to their decision to kit the probe out with a camera – and the fact it successfully recorded video footage as it landed was the icing on the cake. The team is the first from the UK to win CanSat – but that’s far from the end of this story. For one, there’s next year’s competition. The team are already looking into new sponsorship (getting ten science and engineering students from Manchester to the US isn’t cheap), and will begin work on a new design once the 2019 challenge is announced later this summer. In the meantime, they continue to run their popular CanSat workshops, which provide leading STEM students with practical skills. The classes are based around the CanSat competition challenge and focused on space. Participants make their own simplified cansat and then compete against each other. Currently both The University of Manchester and the University of Bristol are involved, but Iuliu hopes it will expand to include many more universities. The bonus of a UK-based competition is that it’s far more affordable and convenient for UK students to take part. 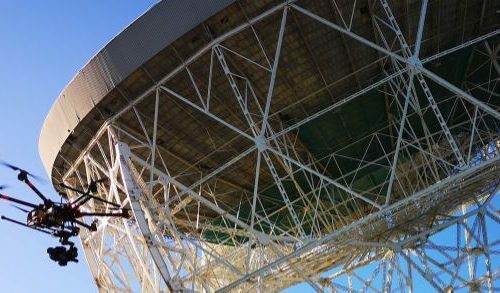 If all of this isn’t enough, the Manchester team also provide guidance to high school students competing in the Euro Space Agency CanSat competition. And they all still have their Undergraduate and Master’s Degrees to complete.